A lively and festive concert featuring works by Bach, Tchaikovsky and Dvoràk marked the celebration of 10 years of Tel Aviv University’s Buchmann-Mehta School of Music and was a highlight of the 2015 International Board of Governors Meeting. 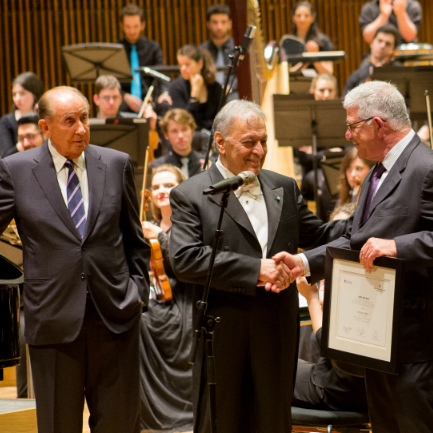 The concert was performed to a large audience of TAU governors, supporters and friends in the Miriam and Adolfo Smolarz Auditorium by the School’s Buchmann-Mehta School of Music Symphony Orchestra and conducted by outgoing head of the School Prof. Zeev Dorman. 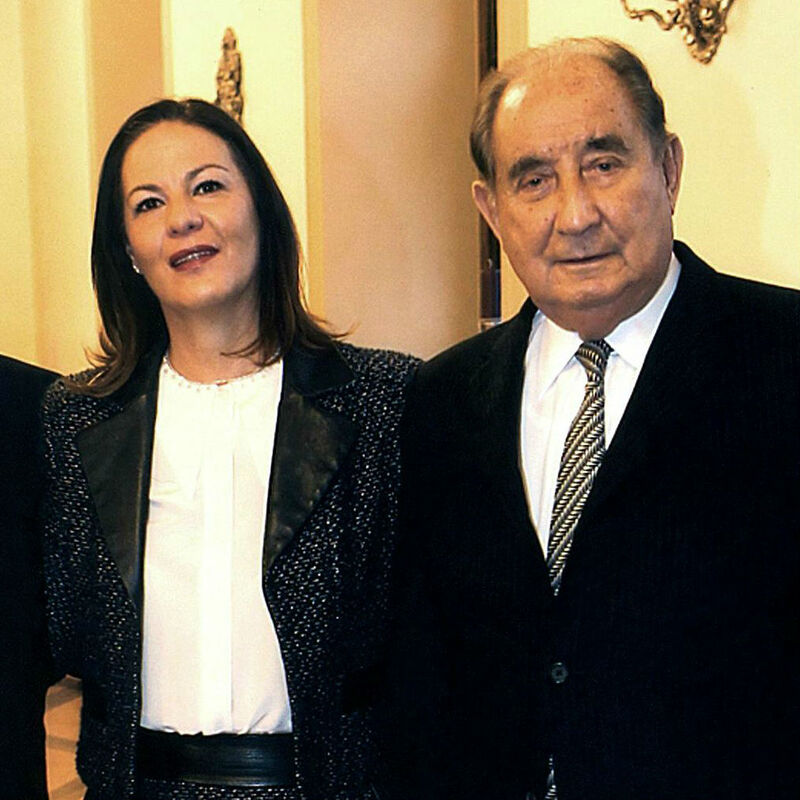 Guests of honor at the event were the School’s founders, Vice Chairman of the Board of Governors Dr. h.c. Josef Buchmann, and TAU Governor Dr. h.c. Bareket Buchmann. 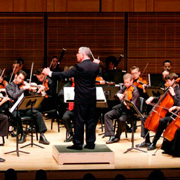 The Buchmann-Mehta School of Music is the fruit of a unique collaboration between Tel Aviv University and the Israel Philharmonic Orchestra (IPO). The School trains students to take their places in the IPO, the Israeli Opera and in other professional ensembles in Israel, as well as in leading orchestras and performance groups throughout the world. The School also trains international students within the framework of the Adler-Buchmann International Program for Outstanding Students. Prof. Klafter congratulated Mrs. Bareket Buchmann on receiving a TAU honorary doctorate during the Board meeting. “It is a testament to your ongoing commitment to the University and to higher education,” he said. In a video message to the event, the School’s co-founder and Honorary President Maestro Zubin Mehta paid tribute to Prof. Zeev Dorman who is retiring from his five-year post as head of the School later this year. “I would like to express my appreciation to my dearest friend Zeev Dorman for what he has done to enhance the cultural image of this school in Israel and all over the world and for his mentoring and nurturing of the students. Without him the School would not have been what it is today,” he said. Mehta also congratulated the Buchmanns warmly via video. The program featured solo flutist Ranen Mintzer and mezzo-soprano Zlata Khershberg.